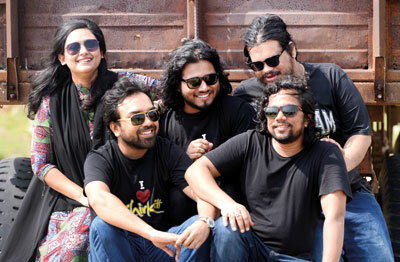 Colombo, February 5 (Sunday Times): When Bangladeshi band Chirkutt took the stage at the 2018 Fairway Galle Literary Festival, audiences were treated to a unique brand of Bangla music which may even strike a chord at home in Sri Lanka. Many have tried to label the internationally acclaimed band from “urban folk”, to “bluegrass”, but its members won’t have any of that. Their influences are infinite. Inspired by life, philosophy, nature, Pink Floyd, Bob Dylan, and their own folk bards and minstrels, it’s no wonder they decided to stick to fusion music. But the strains of their authentic vocals backed by folk melodies and surprise electric guitar solos have taken Chirkutt to international heights. It began back in 2002, imagination and creativity through music. “We only wanted to sing with our hearts out: to express our thoughts, unleash imagination and creativity through music,” they tell us in an email interview. Starting off their career in what they describe as a “closed environment,” the band never imagined international recognition let alone any recognition at all. In 2010, they launched their debut album. Two years later, they found themselves performing at their first international concert in the India Music Week. It was the first gig that opened their eyes to their potential. “Perhaps we have ‘some things’ to offer to the others across the world,” the felt. Their successful show was followed by a steady stream of memorable performances including a performance at the Indian President House Concert (2014), the South By South West (SXSW) carnival in Austin (2016), where they were the first Bangladeshi Band to perform and a six-city tour in Norway with the Norwegian rock band Casa Murillo, at South Asian Band Festival in India. Back in 2013, the band found themselves in front of an enthusiastic crowd at the Jaffna Music Festival- the reason why they’re back to perform in Sri Lanka. 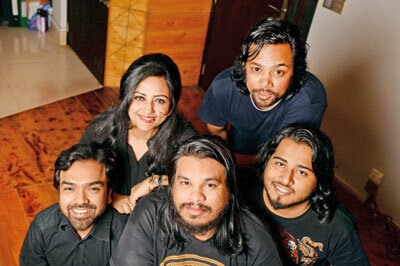 In a twist of fate, one of their songs, featured in a film, also won a SAARC Award in Colombo last year. “Since then, so many of our Sri Lankan friends have been asking us to perform at the Galle Lit Fest,” and when the Bangladesh High Commission approached the curator of the festival, they were on to their next big musical escapade. Their first time in Sri Lanka was a memorable experience. Not knowing much about Sri Lankan music before they arrived, they weren’t afraid to literally capitalize on their excitement when having to describe their first reaction to the local music scene. “We are now fans of Sri Lankan percussion,” they said, citing Santush and Naadro as some of their favorite acts. The other favorite they let on is the crowd. Their truly worldwide appeal was evident in the audience response at the Jaffna festival. “We sang one of our songs at the big stage in front of a 25,000 Jaffna crowd,” and was moved by the crowd that even caught on to some of the Bangla words. But their most beloved memory of Sri Lanka was far away from the stage. While going back to their hotel the bell boy sang a key word from one of their songs, which he asked them to sing at their next show there.